Reiki is a healing technique where the therapist channels energy into the recipient by means of touch, activating the natural healing processes of the recipient’s body and restoring physical and emotional wellbeing. Reiki is one of the most beautiful of natural healing methods. It is a simple and safe method of healing and self-improvement and its purpose is to treat holistically and restore a sense of balance to both mind and emotions. 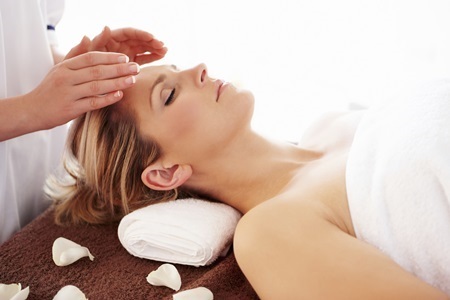 There are many benefits that can be obtained from a Reiki treatment including reduced stress and anxiety and feelings of relaxation, peace, security and wellbeing. Reiki encourages and supports positive personal choices, which can include improving diet and exercise, finding time to rest or leisure activities and it may reduce the crave for alcohol and tobacco. It also works in conjunction with orthodox medicine to relieve side effects and promote recovery, although it is not a replacement for traditional medication or treatments. Swedish massage is based on the Western concepts of anatomy and physiology. It is a system of therapeutic massage and exercise for the muscles and joints, developed in Sweden in the 19th century and is one of the most popular massages available. Massage has many important health benefits and can help you maintain physical, mental and emotional well being, especially when it is part of your regular wellness routine. A massage can calm the nervous system, reduce stress and anxiety and improve blood circulation. It stimulates the lymphatic system, which carries away the body’s waste products and toxins. It also helps prevent and relieve muscle cramps and spasms. That’s what makes it an effective form of pain management for those with arthritis and sciatica. ‘Hopi’ means ‘peaceful people’ and this gentle and soothing therapy is indeed well known for its calming and relaxing effects. Hopi ear candling can be enjoyed purely for relaxation purposes but it’s mainly used to help treat specific conditions and to still stressful minds. Crystals have been used throughout history as a source of healing power. The immense power of stones can improve health and wellbeing on many different levels: mind, body, spirit and beyond. At Beauty Mania, we discuss your individual needs before choosing which crystals to use to create a unique and powerful healing experience tailored to you. You probably know Aloe Vera to be a cooling botanical that soothes burns and other skin irritations. While soothing burns is one of Aloe’s amazing abilities, there’s so much more to Aloe. As a succulent plant that thrives in even the driest of deserts, Aloe Vera is a plant with amazing abilities to absorb and retain moisture. Aloe’s cosmetic and medical benefits were prized by the ancient civilizations of Egypt, China, Greece, Rome, India, and Arabia and it is these same benefits that you can enjoy today! We'd welcome you to visit our secure online store to browse our Aloe Vera products. Please feel free to contact us if you would like any more information or advice about the many benefits of our Aloe Vera products. Michelle Ghumania is a Forever business owner and Forever Living products are members of the direct selling association.